@SwekSpek wrote: The true question is, is that your pet?? Gz man! A post for me to keep track of, and for anyone vaguely interested. After my original goal of 80 Slayer to boost for a whip being dealt a devastating blow following the change to temporary skill boosts, I've had to rethink my goals as I wish to leave combat for a while. The goal I've now set is 1750 total, as well as completing as many diaries (especially Kandarin hard) on the way as possible. 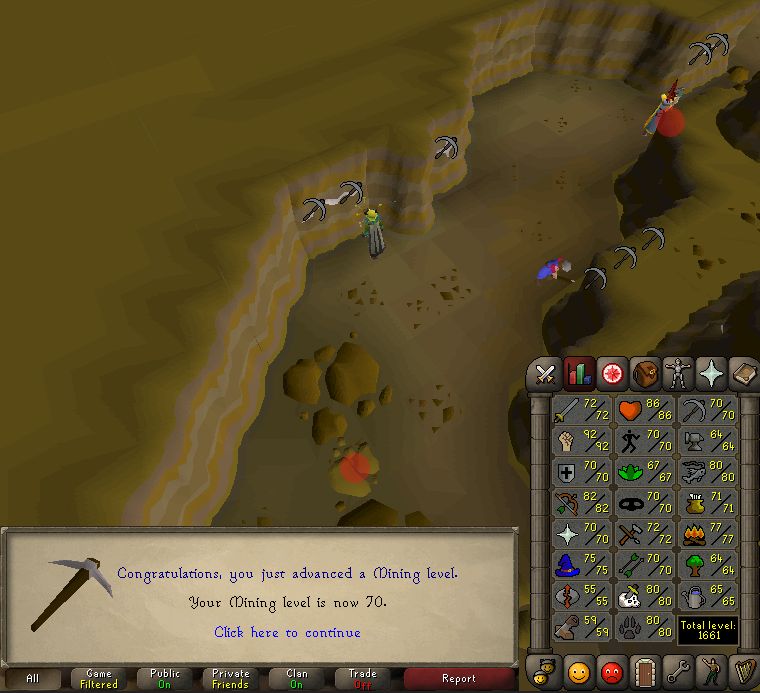 I'm in the process of smelting/ smithing the ores/bars I've acquired from the 70 mining grind, as well as from Slayer and Wyverns. 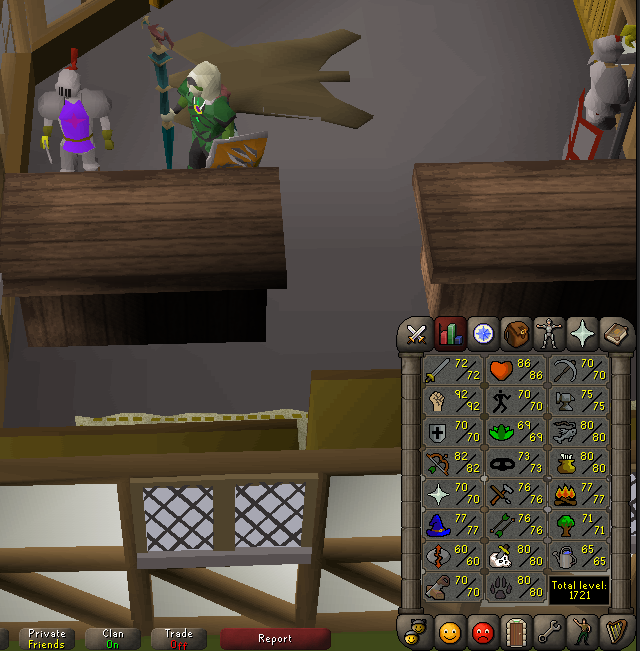 I've calculated that (exlcuding the addy bars) I'd get 70 smithing from these, and therefore have to buy a lot of gold ore for 75, which is a Kandarin hard diary achievement. The addy bars will be used to make darts for if/when I eventually get a blowpipe. After this, crafting these 10k~ gold bars into bracelets should finally get me to 75 crafting for slayer rings/ boost for glories, meaning I'd go from 2 to 20 glories. I'd now be able to do numerous hard diaries, from which I hope to get 59 rc from all the xp lamps. 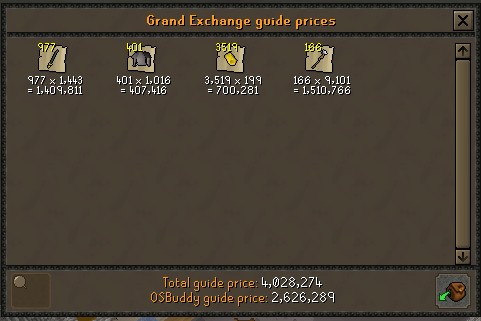 59 rc grants me double cosmics, and with 20 glories it means abyss rcing is far more efficient, meaning I have a method to gain the large amount of cosmics needed for all my battlestaves. With the completion of Kandarin hard, the Seers course becomes the best agility xp for my level, and I plan to agility alch all my battlestaves/bracelets so that I can get a fair few magic levels, as well as cash. The cash will be used to turn all my teak logs acquired from Kingdom to planks, and get me 70+ Construction. After that I plan to fletch all my maple logs from kingdom into bows, and through Temple Trekking gain the bowstrings needed. With the supplies I'd have this'd get me to at least 85 fletching, from which I can then fletch all the magic logs I have into longbows, and alch them for a considerable amount of cash. Again, all these bows will be alched whilst doing agility which'll get my Magic to around 85, and at least the 76 agility needed for Zulrah. I afked at yews for a few hours for the wc levels, crafted some gold bracelets for the crafting, and cut some maple longs/made darts for the fletching. I'm now going to do the Tai Bwo Wannai Trio quest so I can complete Kandarin hard, for the new teleport used for the rooftop. I have many alchs from which I'll get 77 magic from, so i can make molten glass a lot more efficiently to finally achieve 75 crafting. Could also do with the cash. Congratulations on all the gains! GL on all your goals, hit me up if you need me! I'll be more than glad to help. Small update. Got 75 craft, +5 boosted and managed to make 10 more glories before the boost was lost. 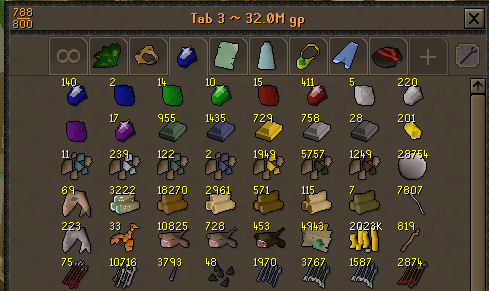 All bstaves crafted and alched, so I currently have a very nice 11.3m cash stack! I have most the teaks from kingdom that i need for 72 construction, but now that the construction keyboard shortcuts have passed the poll I think ill wait till they're implemented before using them! For now I'll be afking yews at wc guild till 71, rcing some nats as I have so many gold bracelets to alch, and slowly coverting all those teak logs into planks when I can be bothered. Really impressive bud, looking forward to seeing your next achievements!! 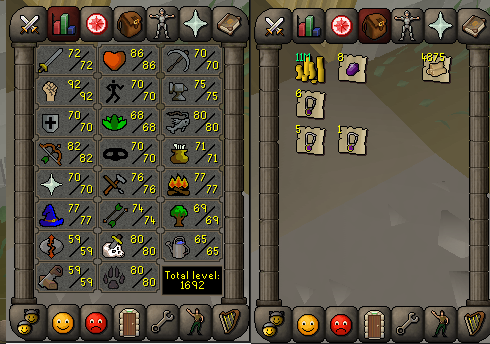 Starting to get bored of skilling, might finally return to the Slayer grind once the DCs stop..
72 Construction/ 70 Herblore are both banked and will be achieved after my Theiving grind. I'll be holding off the Fletching grind for now however. I have plenty of unstrung bows already to string/alch, and Im not in need of cash atm. 300 posts in 1 day, unbelievable.... My thread is gone now too lol! Well you have good goals for the near future definitely hit me up when you're doing wintertodt, would love to join you. D A D D Y A F wrote: 300 posts in 1 day, unbelievable.... My thread is gone now too lol! 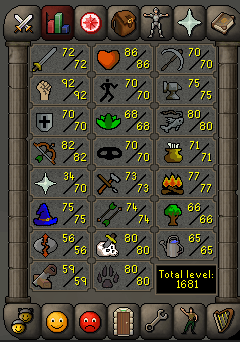 Small update, been really busy with Uni past few weeks so barely had time to play... Been doing some agility (level 73 atm), hoping to get 76 for Zulrah.